International Women's Day is one of the socialist inventions that have spread and become a successful feminist celebration all over the world. The significance of International Women's Day has certainly changed since its inception when it was intended to function as an international day for agitating for women's suffrage to when it became an official United Nations Day in the 1970s to the present day when it is used by major companies to celebrate their outstanding female employee. 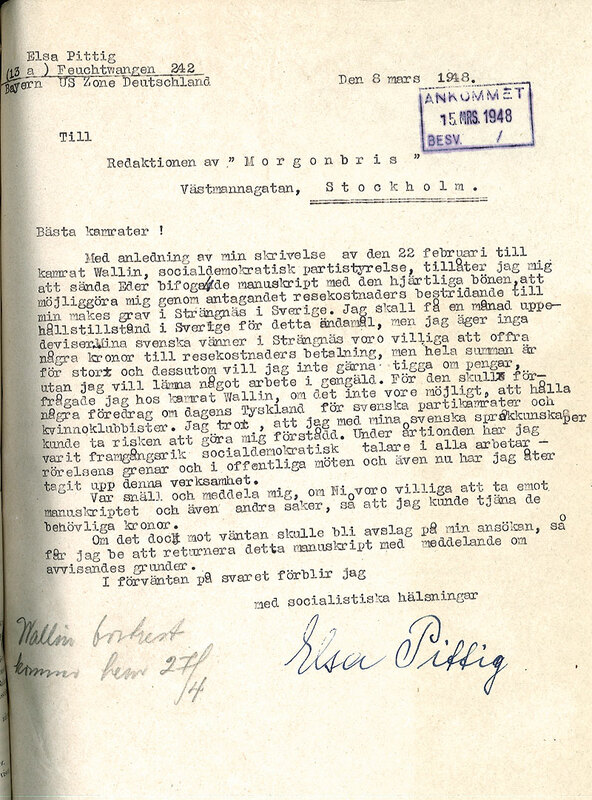 Clara Zetkin has sent letters sent both to the Social Democratic women’s organization and to leading Social Democrats in Sweden. There are only a handful of letters, but those to the representatives of the women’s organization tell a lot about the character of and conditions for women’s international work. Networking with men from the movement was often essential for women in order to develop their own organizations and groups and Zetkin’s letters to male leaders of the labour movement illustrate this. 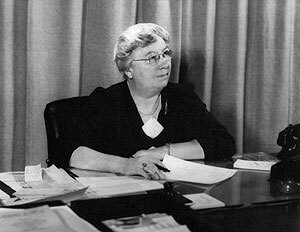 Brita Åkerman was active in different women’s organizations and was among the directors of Active Housekeeping, an information bureau within the State Information Board, and later even of the Swedish Consumers Agency. Her political work is yet another example of what was seen as typically Swedish, which, at the same time, was influenced by the developments outside Sweden. 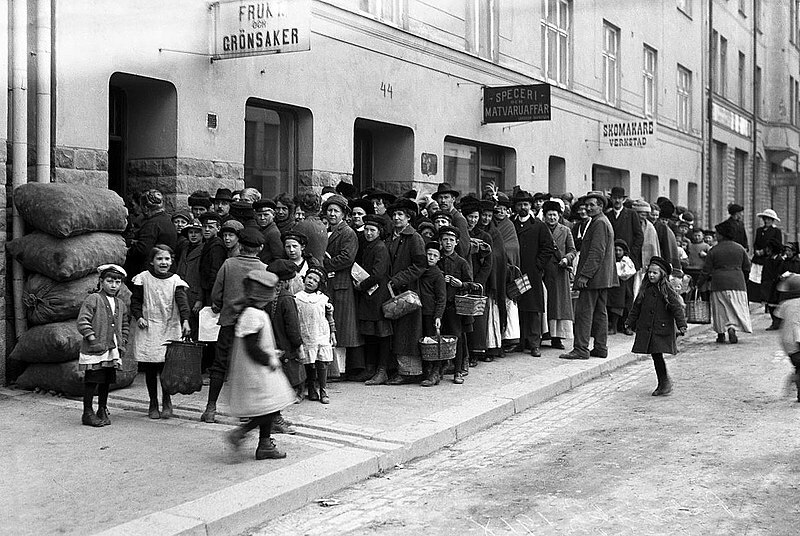 Political tourism in a very broad sense has been important for the Swedish labour movement from the very beginning. 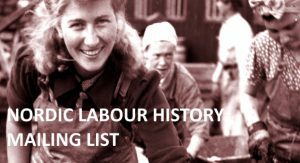 Political tourism among women in the Swedish labour movement changed from journeys to the modern Soviet Union during the 1920s, to the war-stricken countries to help their sisters in need, and twenty years later to the Global South in order to support women’s projects in Africa and Asia.